Robert Gesink (Belkin) won the Grand Prix Cycliste de Quebec in Canada on Friday, sprinting ahead of Arthur Vichot (FDJ) and Greg Van Avermaet (BMC). The race tackled 16 laps of a 12.6km in and around the city, with each lap including four climbs which provided ample opportunity for riders to try their luck with attacks. And attack they did. Various escape groups got away during the course of the race, but it was Niki Terpstra (Omega Pharma) that put in the most dangerous move going into the final lap. Terpstra powered away from the bunch opening up a gap of over half a minute. Sky then hit the front of the bunch with 6km to go, with Geraint Thomas and then Jonathan Tiernan-Locke taking turns at the head of affairs to set up Chris Froome. 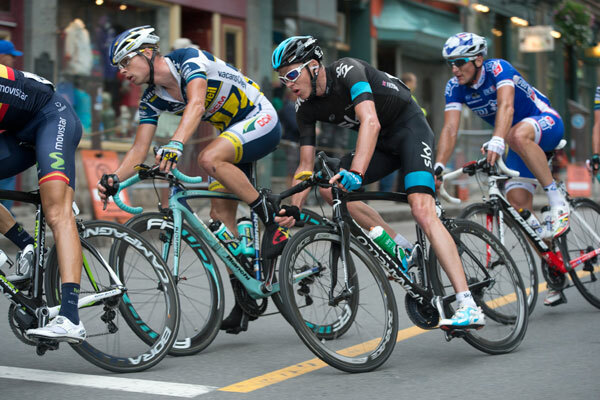 The 2013 Tour winner tried an attack as the race hit the first of the four climbs near the finish but soon faded, leaving Peter Sagan (Cannondale) and Van Avermaet to leap ahead and catch Terpstra. The pace then slowed momentarily as the bunch came back together, with Sagan heavily marked. Despite trying, the Cannondale man couldn’t do all of the work on his own, and was swamped in the finale. Gesink blew past Vichot and Van Avermaet on the Grande Allée climb to put in a blistering finish, letting out a roar as he crossed the line. 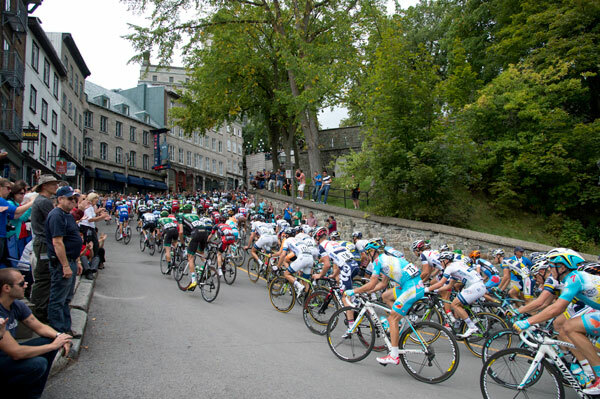 The Canadian WorldTour double-header concludes on Sunday with the Grand Prix Cycliste de Montreal.